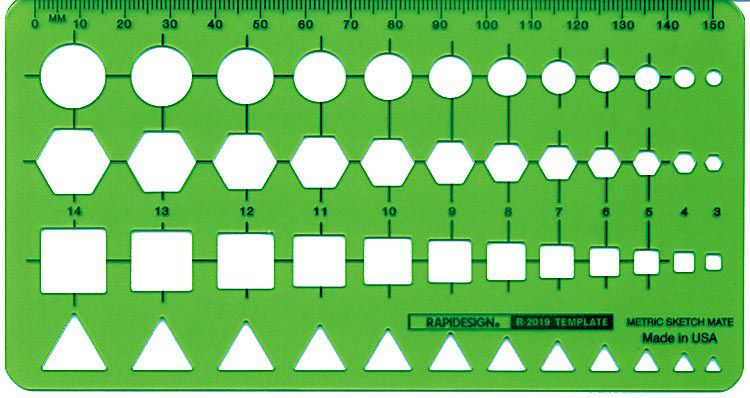 Metric Sketch Mate Drafting Template Contains circles, hexagons, squares, and triangles. Size range from 3mm to 14mm. Size: 8.8cm x 16.2cm x .8mm.